What is Team Offroad all about? The offroad sector consists of many different areas of expertise. By way of strategic partnerships we have managed to build a team of experts in some of the varied disciplines. It all came together when a few friends with the passion for the great outdoors, offroading and traveling got together and decided to pool their expertise and knowledge to serve the 4×4 community in this beautiful country from a unified front. 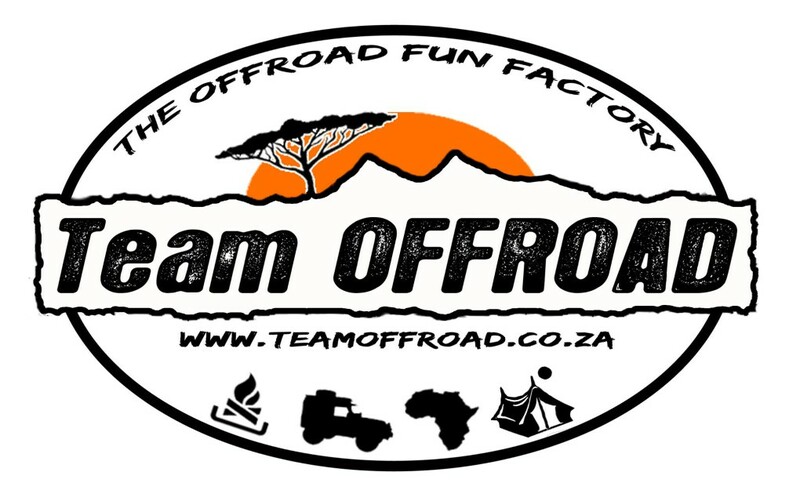 For a while we were working under our own brands, but we decided to change our brand to Team Offroad for those activities where we are all involved, simplifying naming and branding issues. Team Offroad was born. Our offering includes, but is not limited to, Accredited 4×4 & Offroad Driver Training, Overland Safaris, Team Building, Fun Days, Weekend Excursions, 4×4 Fitment and Accessories, Equipment Suppply & Rental, Tour Planning & Consulting. Our clients become our friends, and we love to share our outdoors experiences with them. Our members own and drive a wide variety of 4×4 vehicles which means that we are not hung upon a specific brand of vehicle and can best advise on the pro’s and cons of the different types of vehicles on the market. We also have access to product experts for most 4×4 vehicles available on the SA market. Our TETA accreditation for offroad driver training comes from associations with 4×4 Offroad Academy (TETA10-113) as well as The Training Connection (TETA09-214). Together with Alan Goodway from Isibonela Adventures we are responsible for the WegRy/DriveOut 4×4 Academy in the Western Cape.